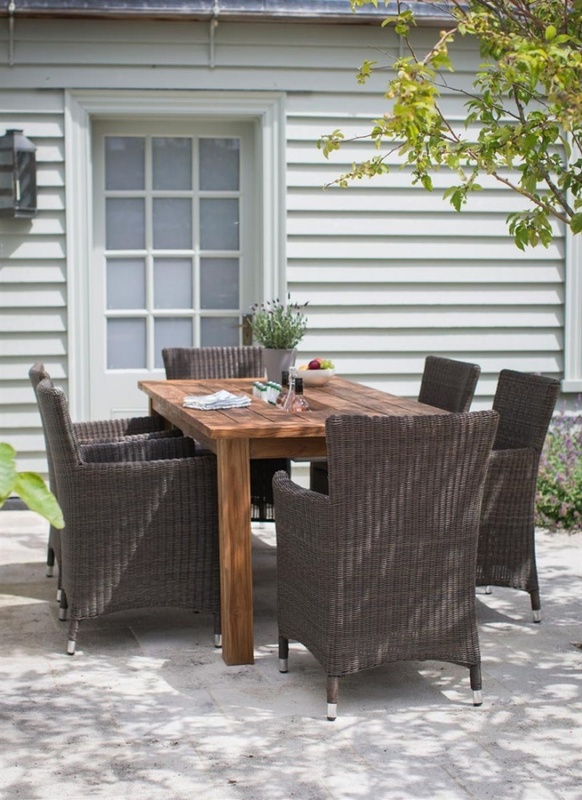 Create a focal point for summer evenings and parties with the St Mawes 6 Seater Table Set. Crafted from Reclaimed Teak, the table has been designed with a built-in drinks tray for packing with ice to keep favourite beverages suitably chilled. It would also look perfect planted up with an array of blooming flowers or herbs. We love the idea of the set being the hub of gatherings and saving trips to the fridge for ice cold beers or wine. The table also comes with a wooden top to the galvanised tray to cover when not in use.